The ground below your feet is deceptively complex. The distance between the soles of your shoes, and the depth where rocks become too gooey to have any consistent structure, is around 30 km. For almost all human history, what lies beneath the ground has been an utter mystery. We could dig a deep hole to see what’s at the bottom, but the maximum practical limit of this is perhaps a kilometre, and it only reveals what’s below that one spot. Ground-penetrating radar is an easier option, allowing you to scan the ground to a depth of a few hundred metres. But everything below that is a black box – without a different approach, we would have no clue what really lies below our feet. Thankfully we do have a different approach. With some clever engineering and applied physics, we can peer into the ground and gain remarkably precise knowledge of the rocks beneath. A gravimeter can “see” through a kilometre of ice to survey the ruggedness of a rocky surface beneath a glacier, or detect buried seams of mineral or metal ores whose density is different from that of surrounding rock. Simply put, a gravimeter is a ridiculously sensitive accelerometer – like the one that measures whether your phone is portrait or landscape. It can measure the gravitational field strength – with an incredibly high level of accuracy – at a chosen location. For an idea of the just how precise these measurements are, the Apollo 17 gravimeter experiment had an accuracy of 2 milligals, that’s equivalent to 0.0002 % of the strength of Earth’s gravity! 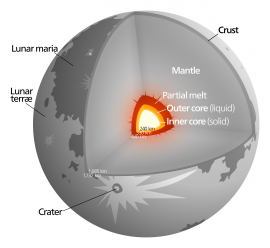 Different structures have different densities, and these cause miniscule variations in gravitational field strength at the surface above them. By measuring these changes with a gravimeter, and putting the data through complex analyses, it’s possible to create models of the subsurface structure in the sample region. Then, by correlating these density calculations with the known densities of rocks, the subsurface structure of the site can be calculated with remarkable accuracy. 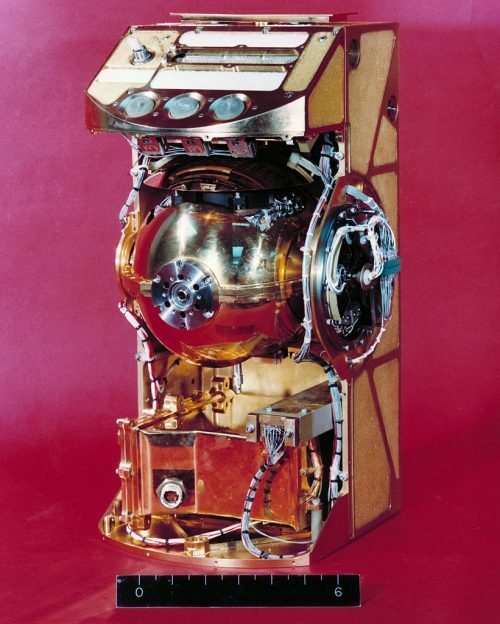 A gravimeter can open a window into the ground beneath us – or, for that matter, any other celestial body. The crew of Apollo 17 took a traverse gravimeter (one designed to be operated at a number of sites) to the Moon. The results were mostly of academic interest at that point – the landing site in the Taurus-Littrow Valley has, below the surface regolith, a thick block of basalt-like rock that fills a reasonable portion of the valley floor, which is considerably denser than the surrounding rock. This is interesting, as the lunar ‘seas’ visible from Earth are vast areas of basalt, but Apollo 17 deliberately landed in a more mountainous region. This could have yielded clues about the way the Moon formed, but we can’t really say any more about the Moon as a whole without wider sample areas. That’s where PTScientists come in. One of the experiments that will be carried on one of the Audi lunar quattro rovers will be a gravimeter. Since the 1970s, the technology behind gravimeters has taken leaps forwards (in no small part thanks to the uses of gravimeters in oil and mineral prospecting on Earth) and it’s now possible to pack an entire gravimeter into less than 2 kg. 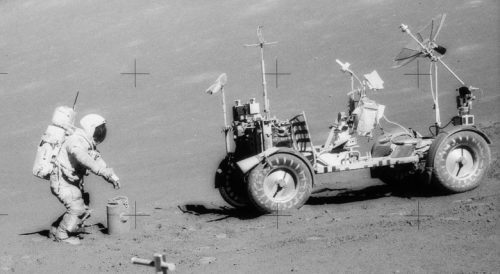 Gedex, the Canadian company behind the new gravimeter hopes to repeat some of the readings taken by the Apollo 17 team with even greater accuracy, and take measurements in more locations to get a better picture of the ground beneath the Moon’s surface. There’s another key difference from the Apollo era, and that’s part of the reason why the team want to ship a gravimeter to the Moon. The data about the lunar subsurface is no longer of purely academic interest – many of those advocating for a lunar colony are proposing putting it in a cave below the surface. Imagery from lunar orbit has detected numerous “pit craters,” which suggest caves beneath, possibly being impact-generated skylights into buried lava tubes. Low-resolution gravity data from the twin lunar orbiters of NASA’s GRAIL mission hints at a very large lava-tube in the Marius Hills region of the Moon, but higher-resolution data will be needed to confirm that. Surface gravimetry collected from a lunar rover is ideally suited to do that, being capable of detecting even fairly small (100 m diameter) buried caves and tubes. Interest in the idea of cave-dwelling settlements is steadily building and the number of potential sites is increasing at a rapid rate, but we still don’t have enough data to confidently say we should put people in lunar caves. 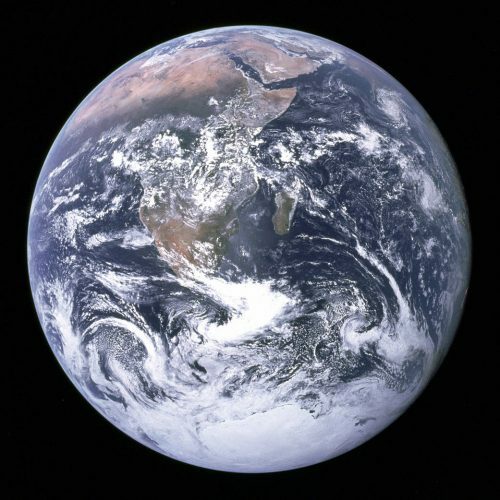 Sure, an improvement in our understanding of the internal layers of the Moon may not be as headline-grabbing as pictures like ‘Blue Marble’ – an image of the whole Earth, taken during Apollo 17, but most of the time science works in small steps. It is by combining data from a wide-range of sources – measurements from orbiters (such as GRAIL), radio data from satellites like SELENE, and surface-based observations from the Audi lunar quattro – that we can get the best possible results and the most understanding. There is rarely a giant leap for humanity – more often its a gradual climb towards a future where we know more, and can apply our knowledge to the great challenges that will face us.